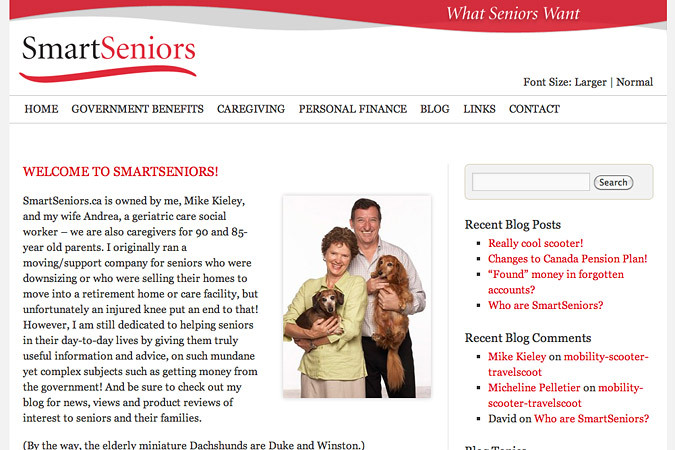 SmartSeniors.ca is a resource portal for helping seniors navigate and negotiate the complexities of retirement, downsizing, and accessing government benefits and services. 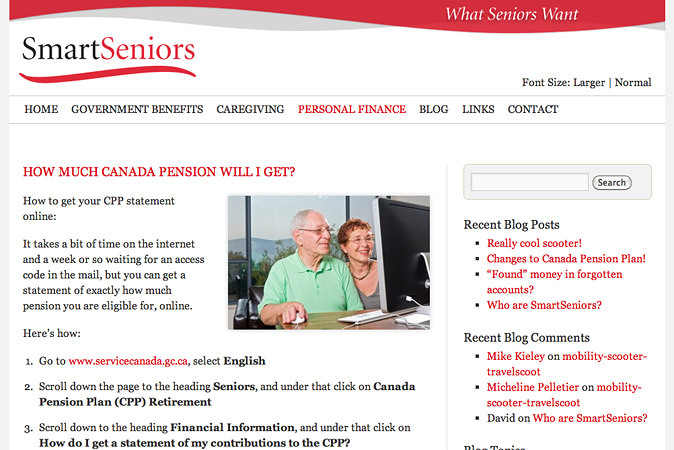 The Smart Seniors resource portal is a clean, simple, and accessible website designed to provide streamlined access to information about the resources and services that are important to seniors in Canada. The site was developed as a custom Word Press theme to facilitate frequent, easy content updates via the blog feature, or by editing static pages. 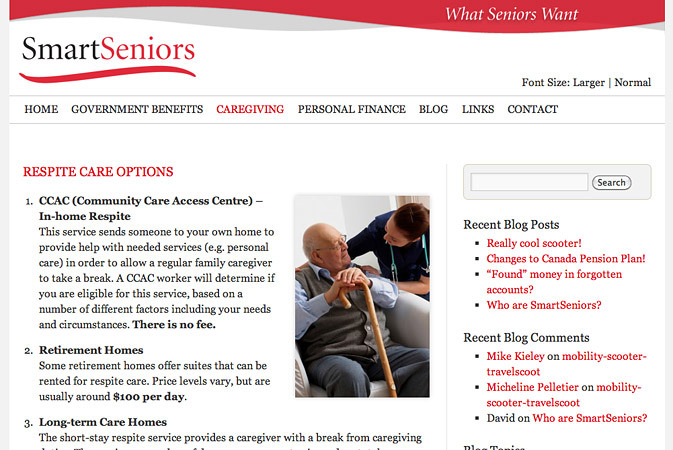 Static pages were designed for optimal readability and a senior-centric user experience. Page layouts rely on information blocking and extensive use of list structures to clearly convey messages, and the site includes a font enlarger tool for novice users who may not now how to enlarge fonts using browser settings. Much of the site content is instructional, and is laid out in a step-by-step format for easier comprehension and legible printing.